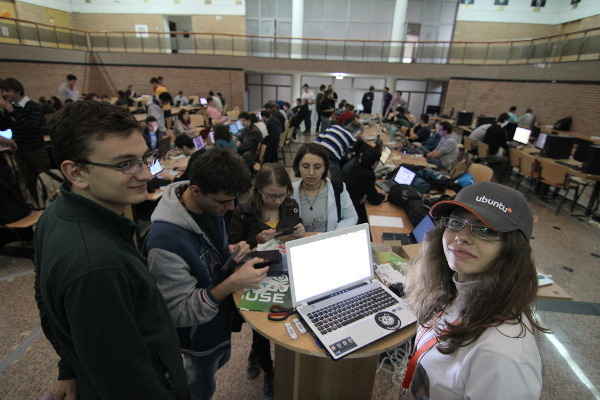 Today was that time of the year again when ROSEdu organized the traditional Linux Install Fest. I managed to be there only a couple of hours, enough to get a grasp of the event and do a few things. Being a Sunday, there were no electrician available at the university, so the light was less than perfect. Not a problem for the hackers but a challenge for the photographer. The event surpassed in size the previous year, with an increase from 118 to to 139 participants (preliminary data). 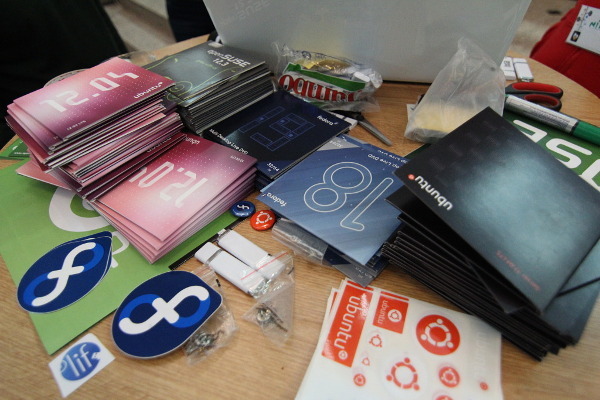 Also, compared with the previous year, the Fedora presence increased: thanks to Iosif who sent me a package just in time, I had enough Fedora 19 DVDs to cover the event and some handy stickers. Gabriel also joined, armed with a bunch of Fedora 18 DVDs and more swag he saved from a past event this winter. 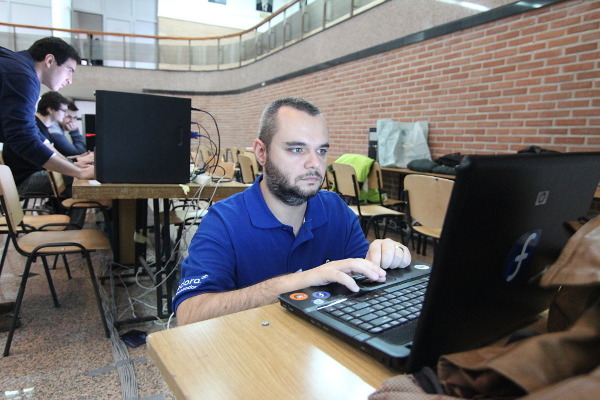 And actually there were some people installing Fedora! Looking at the numbers some changes are noticeable: after the last years most of the installs were Ubuntu, closely followed by Debian, this year the situation is dramatically different: no Debian install registered, the most installs are MINT with Ubuntu in a distant second place. Mint was available on USB sticks, which AFAIK were for the students to keep, while the other distros were available on optical media (also for the students to keep). 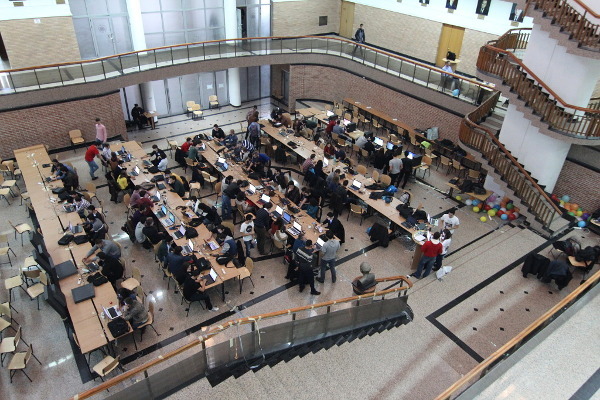 From my point of view, there is also noticeable the Fedora increase: from zero to 8 students this year. Worth mentioning, almost all of them happened early in the morning (in the first hour). I'll repeat what I told to the guy that works in the press (that was there unoficially): the distro statistics don't reflect anything in particular, they are chosen by what was available at the moment or at best by the default wallpaper. I am a bit bummed that I lost the fight with several crappy firmwares that implement EFI in their own mysterious way so we just had their owners set up a VM for Linux. actually i think there is some relevance in those stats: distro people can get a validation of what they are doing right or wrong, even if is a mere wallpaper. well, in an ideal world - these days we have "designers" thinking they know better. 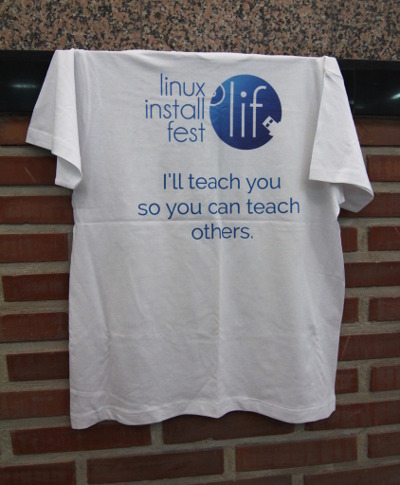 Prior to the event some people were asking themselves: "why do we need Linux install fests when the GUI installer is simpler than ever on every popular distro out there?"... Windows 8, secure boot and crappy EFI implementations, thats why! 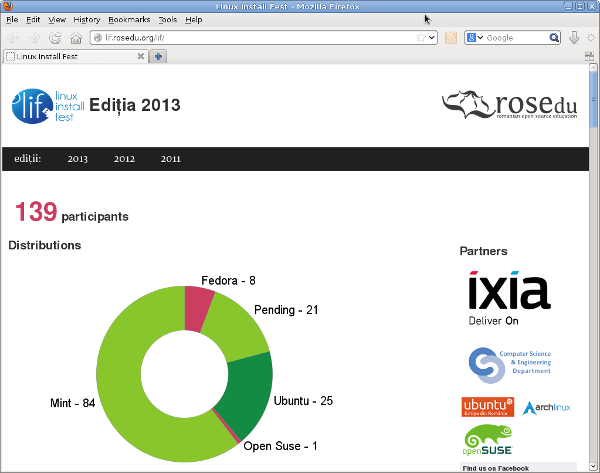 here in my country (El Salvador, Central America), Fedora is nota a very popular distro. However, I use it as my main distro all the time, and I'm glad is recovering terrain.